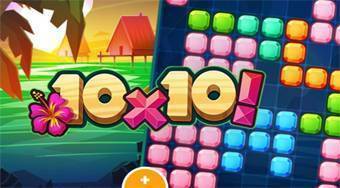 Do you like 10x10! Hawaii? Share it with your friends. 10x10! Hawaii - place tetris blocks from the bottom of the screen onto the game filed, create horizontal lines and this way try to reach as many points as possible.